We are one of the leading manufacturers of Zinc Alloy Ingots. Our range, due to their durable quality, incorruptibility and application versatility finds enthusiastic response from clients all over the world. 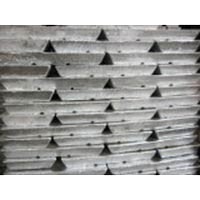 Alloys can be made with the above mentioned elements as per requirement of customers. The usual alloy is mainly with the following composition. These Zinc aluminum ingots are made from superior quality of aluminum. Our range is highly sought after for outstanding resistance to changeable temperature and lasting performance. 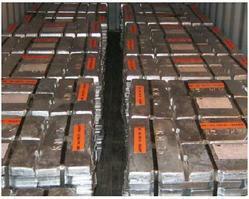 Looking for Zinc Alloy Ingots ?